Dealing with Asperger's or Autism? Are you or your child lonely, depressed, worried, disorganized or just not fitting in? Adults, kids, and teens with Asperger’s Syndrome or an Autism Spectrum Disorder (ASD) have unique gifts and unique concerns. It can be difficult. People may not understand you. You may be continually overlooked at work or school. Your child's teachers may focus only on how he doesn’t fit in with the other kids, while not even noticing his spark in other areas. Your daughter may have sailed through the early school years, but is starting to struggle with the high demands of middle school cliques. 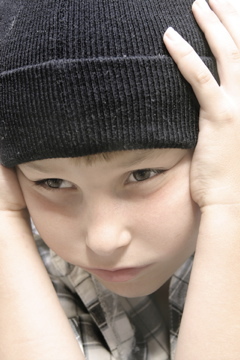 You or your child may be showing signs of depression, sadness, worry or anxiety. Do their best with work, school, organization and homework. Improve social skills and learn to make friends. Take advantage of all the strengths that come with your diagnosis! I also work with the parents of special needs kids and siblings of special needs kids. I help you manage problems and symptoms, whether or not you have an official diagnosis. You might have been told you have Asperger's Disorder, high functioning autism, Nonverbal Learning Disorder, Pervasive Developmental Disorder (PDD-NOS) or another Autism Spectrum Disorder (ASD). Or, you may not have a diagnosis, but you're trying to get help for an Autistic Spectrum Disorder or Asperger's (and no, it's not spelled Asbergers or Asburger's!). In any case, it's not the diagnosis that matters, it's dealing with the specific issues and problems. And that's where therapy can help! Coaching for Adults and Teens with Asperger's Syndrome or Autism?